Environmental watering is a process that is often considered to be beneficial to the basin environment- and it is. But the benefits don’t stop there. Often the process of environmental watering can be extremely beneficial to basin communities as well, boosting industry, recreation activities and the wellbeing of those living within the basin. Environmental watering aims to help rivers, floodplains and wetlands maintain their basic functions, which benefit the whole basin community. These healthy ecosystems help the basin community — they contribute to cleaner air and water, play a role in nutrient cycling, and aim to maintain the habits of some of Australia’s amazing wildlife. In turn, these healthy ecosystems provide places for cultural and recreational activities, and support fisheries and tourism. Canoes on shore of Lake Keepit. Photo by John Baker. Support for this process has been demonstrated in new research. According to the latest regional wellbeing survey, published by the University of Canberra earlier this month, close to half of those surveyed felt declining numbers of native animals or birds, loss of vegetation, or declining native fish numbers are big problems within their region. This is what environmental water aims to address. The Basin environmental watering outlook 2016-17 shows early observations in New South Wales, which indicate a good response to managed flow events in the 2015–16 water year. In the Macquarie River, for example, releases of environmental water are designed to examine changes in fish condition in response to winter flows. Early observations from fish monitoring indicates a spawning response in Murray cod and freshwater catfish as a result of this environmental watering. The survey also shows just over half of rural and regional Australians (56%) felt that their community’s local landscape and surrounds were changing for the better. Around 74% of people felt their local environment was in good condition in 2015, and 86% felt there were attractive natural parks and bushland in their local area. These are all outcomes that can be achieved by environmental watering. The MDBA is also looking to use environmental watering to support Aboriginal values and uses. According to the 2016-17 outlook, management of environmental water that encompasses Aboriginal peoples’ values and uses will enhance their wellbeing. 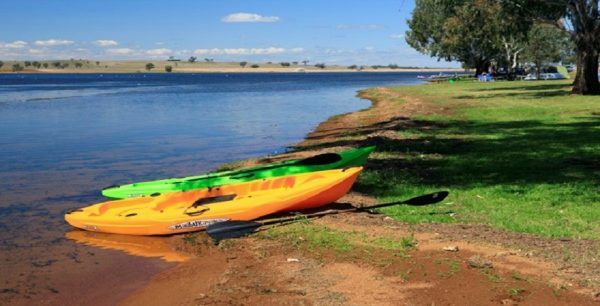 The Murray Lower Darling Rivers Indigenous Nations (MLDRIN) and the Northern Basin Aboriginal Nations (NBAN), in collaboration with the MDBA, are developing approaches to integrate Aboriginal values and uses into planning for environmental watering. 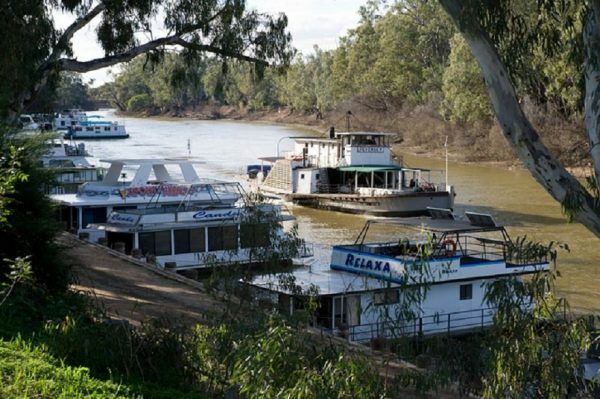 River boats on the Murray River. Photo by Irene Dowdy.